The last update to the Atrix HD shipped out at the end of 2012, which brought it from 4.0.4 (Ice Cream Sandwich) to 4.1.1 (Jelly Bean). 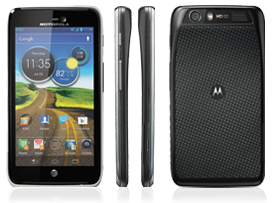 Motorola still has the Atrix HD on the list to receive KitKat, but there's no word on when the nearly 2-year-old device might see that upgrade. You may already have a notification for the update on your device. If not, simply go into Settings -> About phone -> System updates. Make sure the phone is connected to Wi-Fi and charged up to 50% or above before installing the update. A restart will occur automatically and the software version will be updated to 98.5.38.MB886.ATT.en.US. This isn't the most exciting update, but at least Atrix HD owners haven't been completely abandoned. Fingers crossed for KitKat.